Sell Jeff Koons artwork with us. We will research its value and popularity for you. 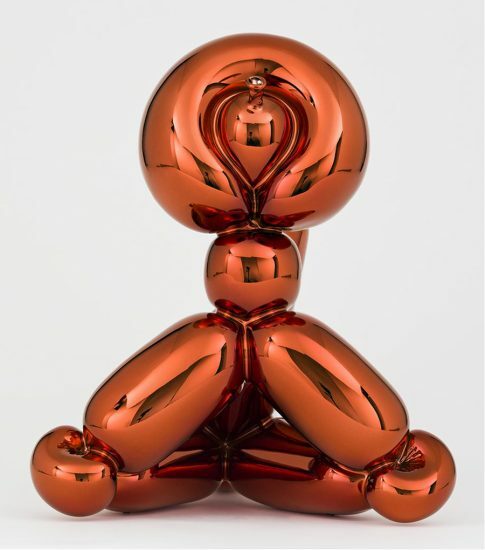 Browse Jeff Koons Catalogue Raisonnés Online. 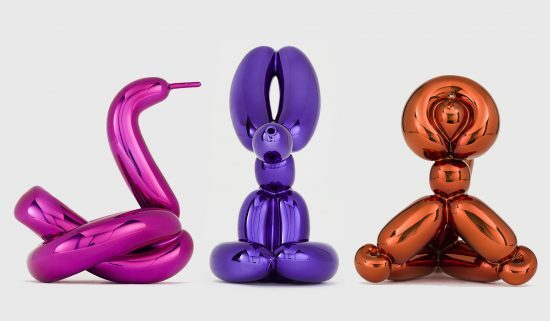 American Neo-Pop artist Jeff Koons is famous (and perhaps infamous) world-wide for his irreverent large-scale sculptures of colorful mirror-polished balloon animals. His chromatic balloon dogs, monkeys, and swans grace public spaces, museums, and private homes across the globe. Koons was born in Pennsylvania in 1955 and attended the School of the Art Institute of Chicago and the Maryland Institute College of Art in Baltimore. He began making what are now his iconic monumental works in the early 80s, playing on idea of banality, popular culture, classical aesthetic, and high-brow/low-brow dichotomies. In a sign of exuberant self-awareness, Koons started a series entitled Banality (1988) which included a life-size gold-and-white sculpture of Michael Jackson and his pet chimpanzee Bubbles. Though most well-known for his sculptural work, Koons has also produced a prolific amount of 2D work, including a series of large paintings entitled Easyfun-Ethereal, depicting phantasmal landscapes of disembodies body parts, food, and animals collaged together in a fascinating examination of pop culture and commonplace imagery. As undeniably eye-catching as Koon's work is, it has also drawn negative judgement for being overly kitchy and 'smug,' personifying banality instead of critiquing or exploring it in a meaningful way. But perhaps therein lies the genius of Koons's work; the exploration is there if you want to see it, and if you don't, you're still left with a mesmerizing and boundlessly fun object.